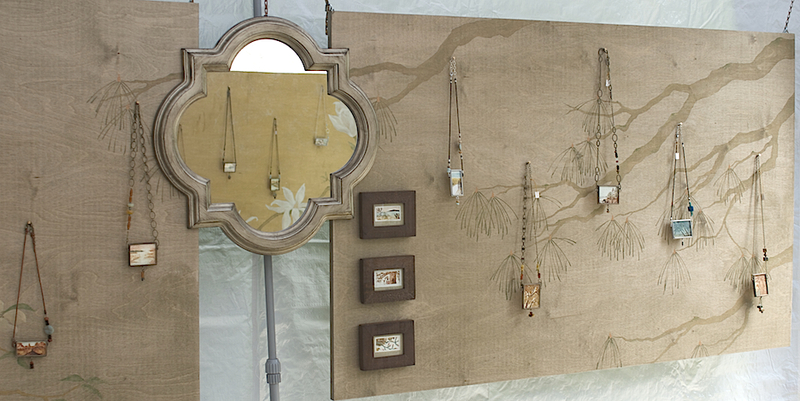 I am so very grateful for my first year of fine art and craft events! 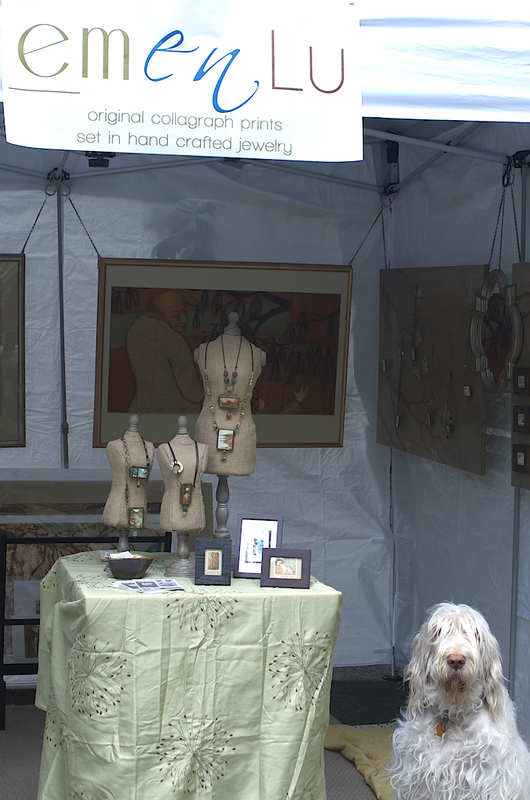 As I tore down my booth for the last time in 2015 last evening, watching the sun setting perfectly over the amber trees, and the brilliant blue sky fade into dark, I reflected gratefully on the wonderful first full year of fine art and craft shows in which I participated. I cannot possibly list all the generous, kind, helpful, supportive, inspiring and extremely talented artists I met along the way and the countless art lovers and supporters who brightened my tent with fascinating conversation, laughter (and tears) and genuine encouragement toward a new year ahead. One of the greatest highlights of my year has been the dear friendships I have already been gifted in such a short time. I admire and respect each and every one of you and am inspired by your spirit, your craft and your kindness. Thanks to all the dedicated organizers and coordinators who make these necessary and enriching events happen. They enrich our communities with some of the hardest working, tenacious, resilient, brilliant artists and craftspeople and their great breadth of creativity and art forms. These art events are a valuable component in the increasingly challenging attempt to keep the arts alive and inspire so many, old and young, to keep arts a strong and vital part of our schools and communities. 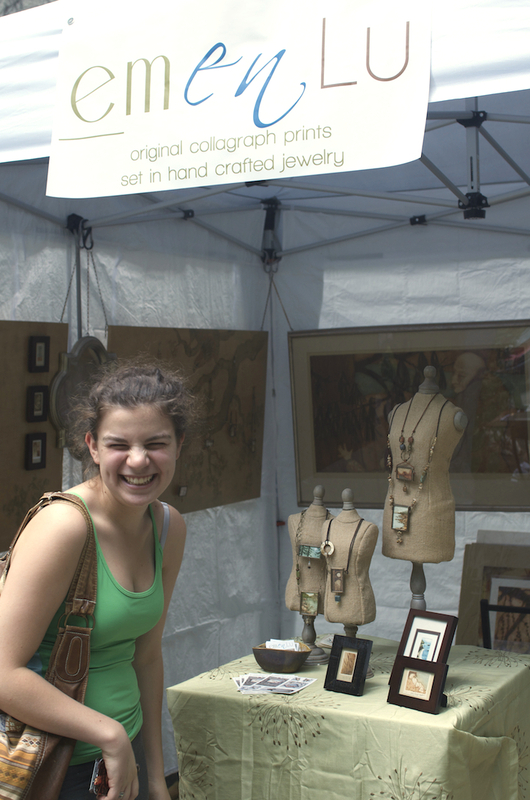 Specifically, thank you Artrider Productions, Woodstock-New Paltz Art & Crafts Fair, Rose Squared Productions, Inc., Guilford Art Center, Peters Valley School of Craft, Craftproducers,and Crozet Arts and Crafts Festival for allowing me to share in your beautiful festivals as well as your help and guidance as I navigated my first year in this exciting new community! Hope to see you again next year! Recently I had the wonderful, serendipitous opportunity to write an article for Dun The Magazine, created, written, edited and run all by women who are drawn to the world of fishing one way or another . They live their lives courageously, creatively and adventurously. I am so grateful for the chance to meet (online, not yet in person) all these women, especially Jen Ripple, editor in chief...they are all an inspiration for living! Thank you again ladies! You can read my article on page 149...but please take time to discover all the great stories and talents in this and all issues of Dun Magazine! This is actually a cup of tea I was enjoying outside while working. The light was exquisite and I couldn't believe the perfect reflection of trees on the surface of my tea. It is a lesson on how much beauty we can miss if we don't take the time to really look. The lovely piano piece is "We Float" by Dustin O'Halloran from his "Like Crazy" Album...a sweet film by the way. The poem is by Emily Bronte. 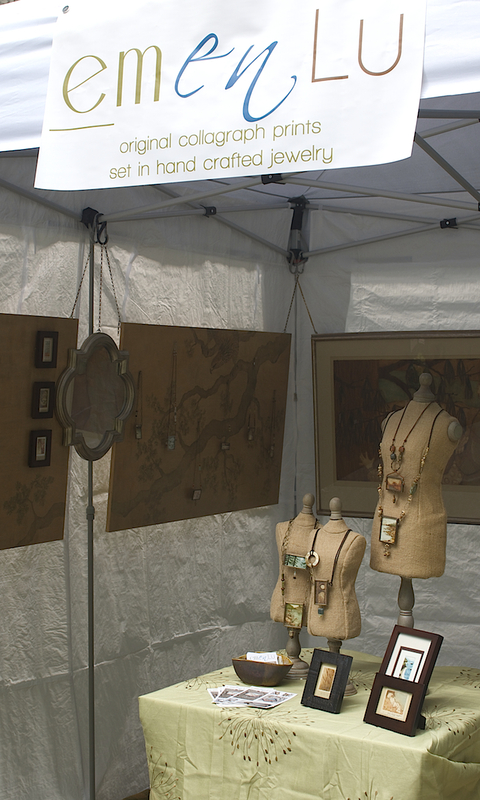 I have spent the last couple months working on a booth design to submit to several juried Fine Art Festivals around the region in the upcoming months. I mocked it up in my driveway this week to work out some bugs...still a little tweaking to do....but it is finally coming together. I have always enjoyed doing mural work as well and so these panels were a treat to make. 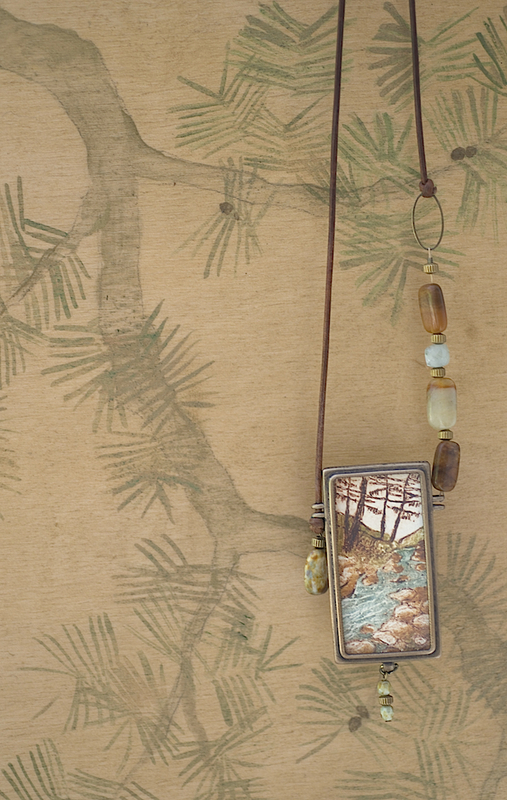 Being a printmaker first and foremost, I plan to sell some of the larger prints alongside my jewelry. In the rear hangs a prints mirrored by it's collagraph plate...so visitors can understand the process more visually. Thank you for viewing! A day spent in my studio working on some of my miniature collagraph prints that I am creating for my upcoming jewelry line! the amazing music is by artist Peter Bradley Adams please support artists and buy his tunes! new youtube video... love learning new mediums! I decided to experiment with making a youtube video. Lots of fun! Enjoy the beautiful tunes too!! It is hard to remember many days when my dad did not have a pen in his hand and he was jotting down all the happenings around him. Whether it was the frenetic and joyous activity of family gatherings, the tranquil stillness of his predawn hours or the anguish and suffering he struggled with in his own heart, he was always documenting his world. Although it is not always easy for me to read the past, knowing I am able to go back in time and hear his heart at the age of 25 and 45 and 65 years old, gives me new perspective and deeper understanding of his life and my own. I often think about how much he would have, despite his aversion to anything "technical", truly embraced the BLOGGING world. He loved to share his thoughts and feelings through his writing...in a poetic, discreet manner. It would have been right up his alley. Thank you Dad, for taking the time to share.